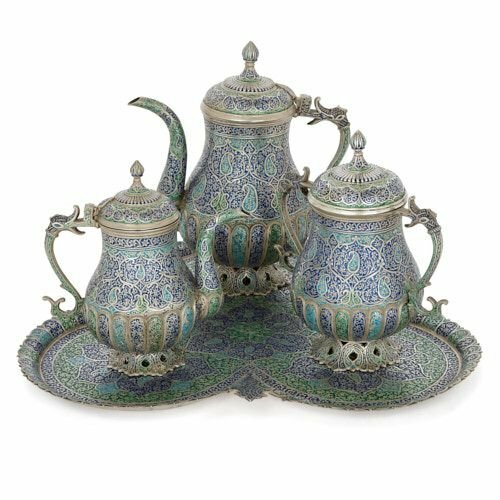 Crafted in Kashmir in the 19th Century, this silver four piece tea and coffee set is covered in beautiful green, blue and turquoise enamelled decoration. 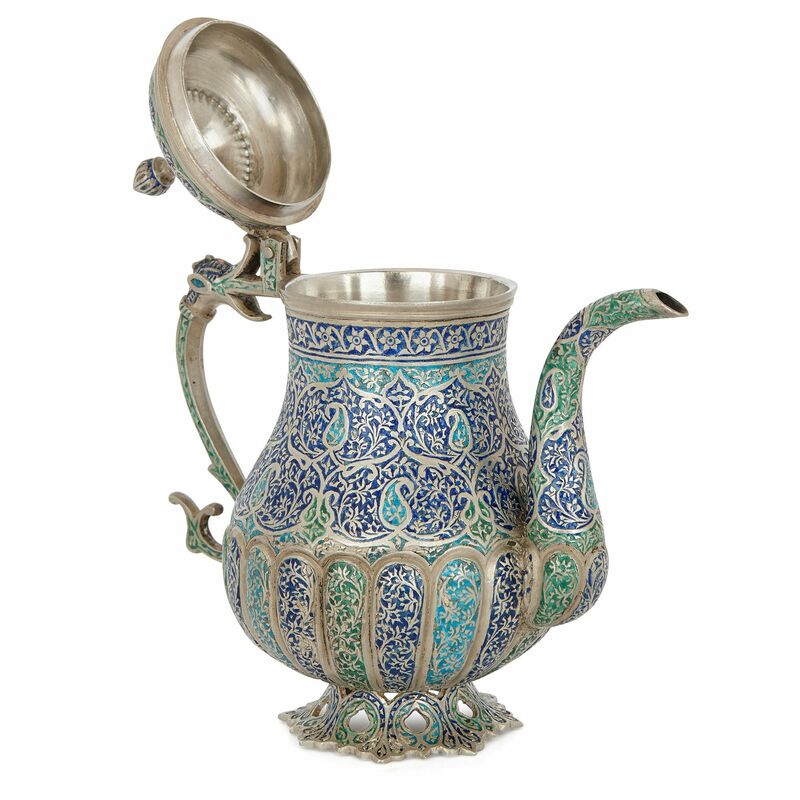 The exquisite set comprises of four pieces, including a large coffee pot, a tea pot, sugar bowl and tray. All four items have been formed in silver and decorated with green, turquoise, and cobalt blue enamels. Each of the vessels stand on pierced splayed feat, which take the form of down-turned petals or leaves. On each, the lower part of the main body has been scalloped, and each lobe filled with a different coloured enamel, set against a silver foliate ground. 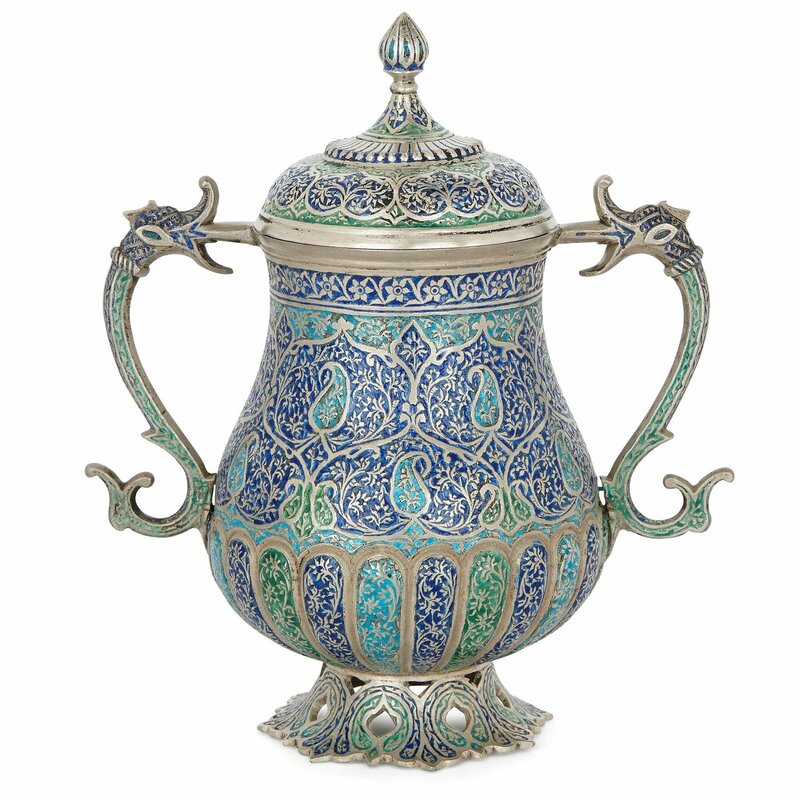 Above, the cobalt blue is organised into silver onion-shaped medallions, each with a central turquoise boteh motif, and smaller green corner botehs. 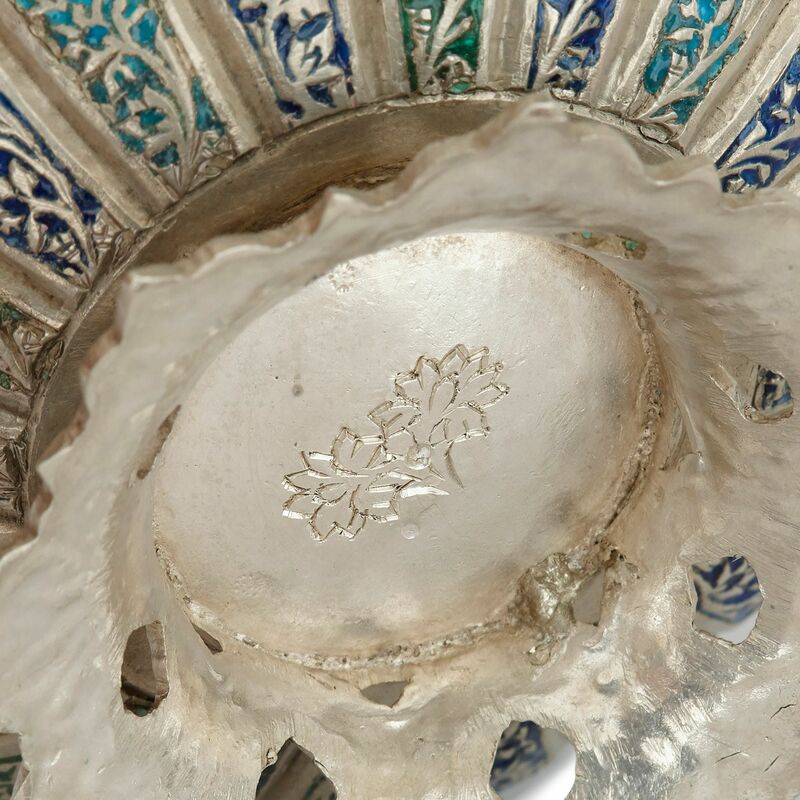 These compartments are ornamented with silver floral patterns. Above, a blue foliate band marks the transition from the body of the piece to the lid. 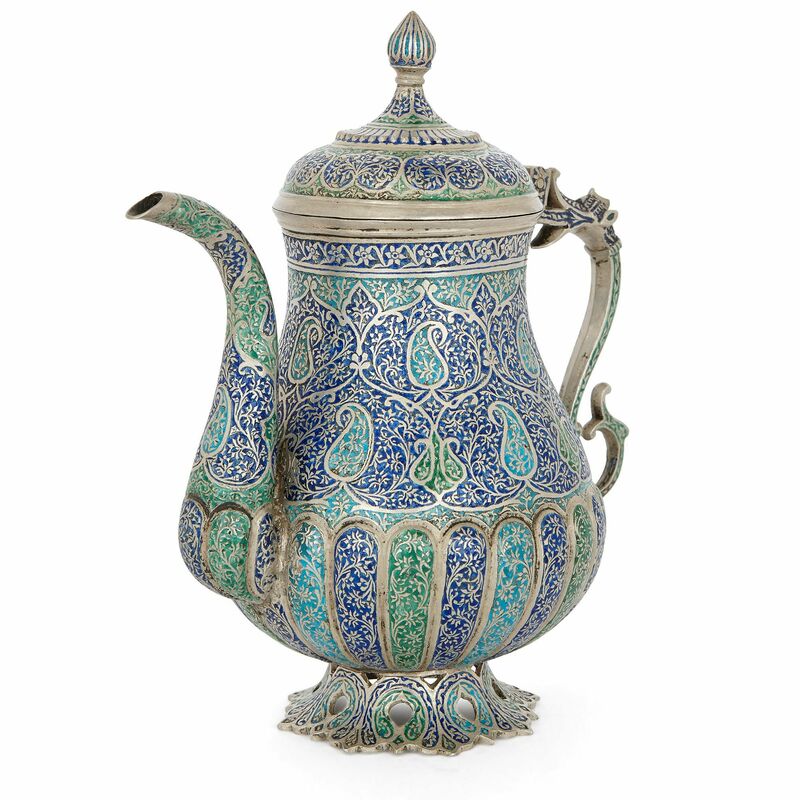 The tops, handles and spouts are decorated in a similar way to the bodies, the only difference being the exclusion of the turquoise enamelling. 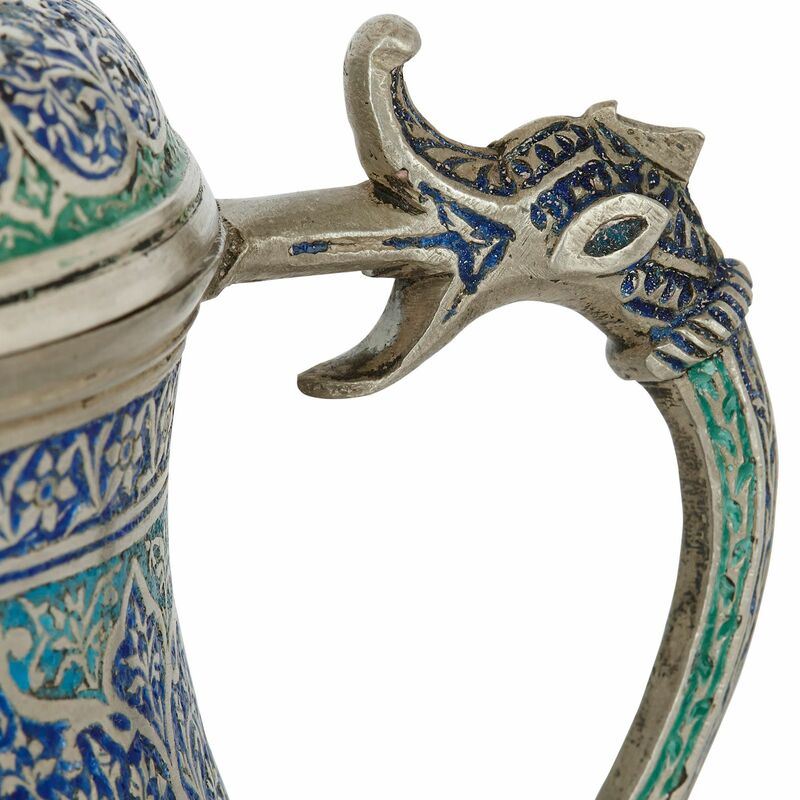 A bud-shaped finial tops each piece, whilst the handles take the form of stylised birds, with flicking tails and heads with eyes and wide open beaks. 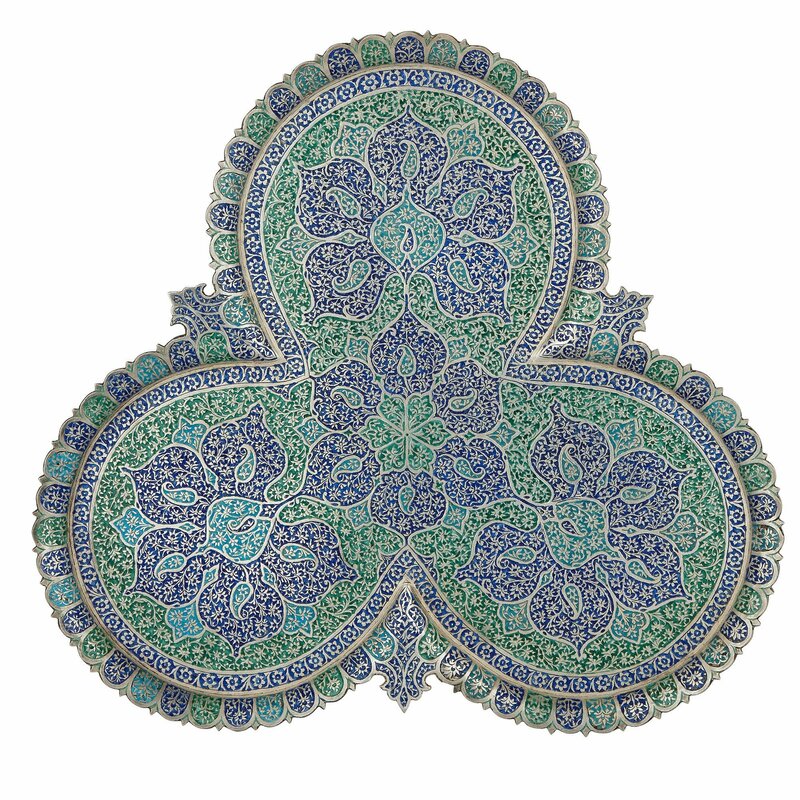 The mesmerising tray is trefoil shaped, with a cusped outline. 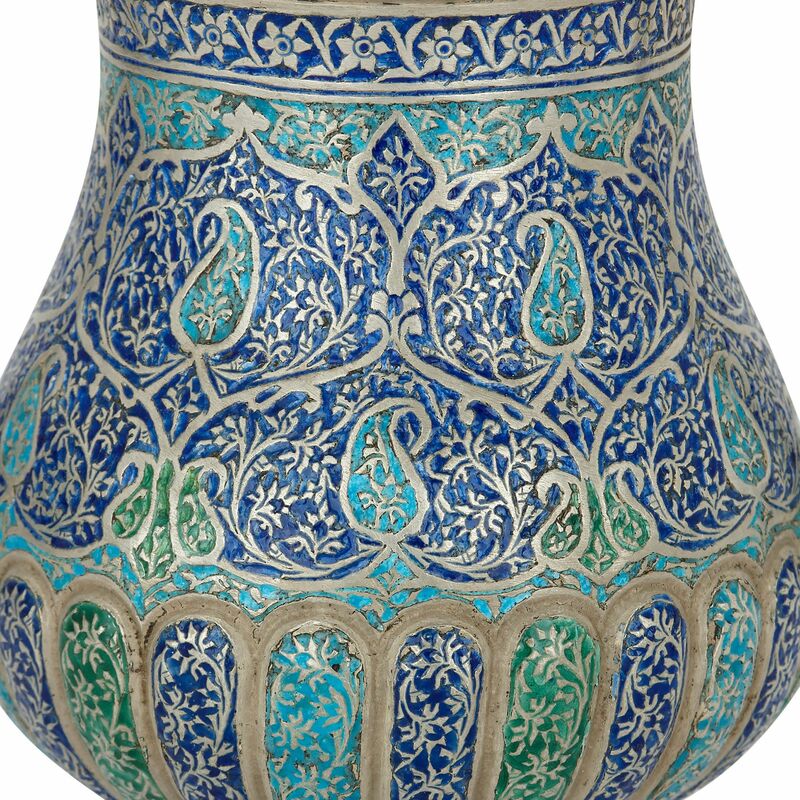 It is ornamented in a similar fashion to the vessels, with shaped medallions and botehs set against a foliate ground, and edged with a floral band.